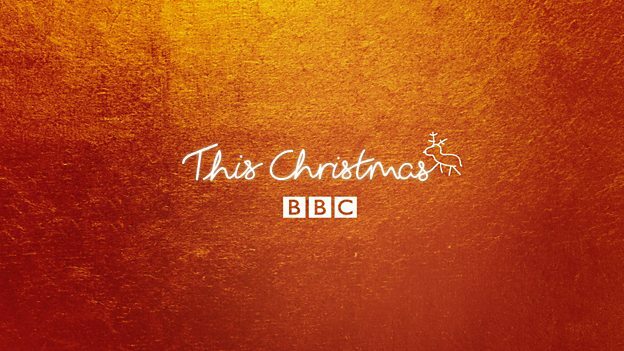 BBC Television invites viewers to celebrate Christmas 2016 in all its glory across BBC One, BBC Two and BBC Four, with a bountiful array of festive delights from the nation’s favourite shows, alongside all-star names in brand new content especially for the Christmas season. With Mary, Paul, Mel and Sue eager to taste some Christmas bakes in The Great Christmas Bake Off, the last ever episodes on the BBC; Mrs Brown turning into Scrooge and refusing to put up her Christmas tree; animated adventures and drama with Roald Dahl's Revolting Rhymes and Raymond Briggs’ Ethel And Ernest; brand new drama with Agatha Christie’s The Witness For The Prosecution; glittering entertainment with Dame Shirley Bassey and David Walliams in a one-off special; stunning snow animals surviving the deepest of winters; The Nutcracker performed by the Royal Ballet; through to Eric Idle trying to educate everyone on the Universe, there is an abundance of Christmas specials for all the family to enjoy. Charlotte Moore, Director of BBC Content, says: "We've pulled out all the stops this Christmas to bring the nation together with a sparkling line-up of family favourites, brand new treats and festive specials on BBC Television. We are showcasing an unrivalled range of top quality comedy, drama, entertainment, factual and religious programmes across our channels that promise to deliver something for everyone." It is time for some of The Great British Bake Off’s memorable past contestants to dig out their pinnies and re-enter the famous tent armed with their best festive recipes, as The Great Christmas Bake Off makes mouths water with its final ever episodes on the BBC. Brendan O’Carroll is back with more from Agnes Brown and family, as the smash hit comedy Mrs Brown’s Boys once again brings laughs galore to two Christmas episodes. More fantastic comedy is in store as the Brockman family return, all grown up, with a festive edition of Outnumbered. Hugh Bonneville swaps Downton Abbey for Walliams & Friend as he joins David Walliams in his hilarious sketch show, and Granville is back with the first in a new series of Still Open All Hours, starring Sir David Jason. And it wouldn’t be Christmas without the residents of Albert Square facing up to festering secrets, fractured families and the explosive return of Max Branning in EastEnders. South Africa is the unexpected destination for the staff at Nonnatus House this Christmas as the stars of Call The Midwife find themselves transported to Hope Clinic, as they fight to save the tiny mission hospital. Roald Dahl’s Revolting Rhymes come to life in six animations voiced by Dominic West, Rob Brydon, Tamsin Greig and many more, plus there’s more original animation with Ethel And Ernest, voiced by Brenda Blethyn and Jim Broadbent. More celebrated actors are set to grace brand new BBC drama this Christmas with the likes of Kim Cattrall, Andrea Riseborough, Toby Jones and David Haig joining forces in Agatha Christie’s tale, The Witness For The Prosecution. Bafta-winning writer Sally Wainwright pens new drama To Walk Invisible, which tells the story of the extraordinary Brontë women and the obstacles they faced to come from obscurity and produce some of the greatest novels of all time. The much anticipated return of Benedict Cumberbatch and Martin Freeman in Sherlock sees the nation’s favourite detective return to British soil. In New York, the Doctor is back on screen for the first time in a year, as Peter Capaldi joins forces with an investigative journalist and a superhero in a bid to save the city in brand new Doctor Who - The Return Of Mysterio. And it’s a time for family in West Yorkshire as Anne Reid, Derek Jacobi and Sarah Lancashire return for a two part special of Last Tango in Halifax. Christmas isn’t complete without some showbiz sparkle. There’s nothing like a Dame and this year the BBC has exclusive insight into not one, but two of Britain’s finest talents, Dame Shirley Bassey and Dame Judi Dench. In David Walliams Celebrates Dame Shirley Bassey the iconic singer performs in a glittering night of glamour and entertainment, and documentary, Dame Judi Dench - All The World’s Her Stage, looks at the phenomenal career of one of the world’s most loved and decorated actresses. Sir Lenny Henry is also honoured with this year’s Bafta tribute, Sir Lenny Henry: A Life On Screen. The baubles are out for the Strictly Come Dancing Christmas Special, after the nation has chosen its champion for 2016 in the Strictly Come Dancing Grand Final, and more winners will be crowned on Sports Personality Of The Year and The Apprentice Final. It is also time to say farewell to Head Judge Len Goodman who hangs up his ‘seven’ paddle for the last time, with a look back on his Strictly career in Strictly Len Goodman (w/t). Among a raft of comedy and entertainment specials, Michael McIntyre’s Big Christmas Show gets a merry makeover full of Christmas cheer, as celebrity guests - along with comedians Catherine Tate and Harry Enfield - join in the fun at the Theatre Royal, Drury Lane. Whereas theatre of an altogether different kind is in store, as Peter Pan Goes Wrong delights audiences with Mischief Theatre’s comedy of errors, narrated by David Suchet. Jonathan Creek is back with a macabre mystery to solve, and there will be more laughs on BBC One as Mr Khan experiences his own festive It’s a Khanderful Life. Over on BBC Two Professor Brian Cox tries to explain The Entire Universe amid an elaborate amateur dramatics musical theatre production from Eric Idle’s Rutland Weekend Television. And the house robots deck the halls in two Robot Wars Christmas specials, alongside some celebrity guests. Reece Shearsmith and Steve Pemberton return with a brand new Inside No.9, telling the tale of the demonic Krampus, whilst Philomena Cunk brings viewers her own unique investigation into the real meaning of yuletide’s traditions, in Cunk On Christmas. Charlie Brooker attempts to cram his views on the events of the past 12 months into 2016 Wipe - no doubt easier said than done…! For music lovers, Top Of The Pops once again returns on Christmas Day and New Year’s Day, as does Jools Holland with his annual Hootenanny. BBC One will present the annual fireworks display to see out 2016 along with a headlining concert from one of the UK’s biggest stars, and BBC Two celebrates a Gospel Christmas with US jazz singer Gregory Porter and West End star Beverley Knight. Bruno Tonioli and broadcaster Suzy Klein present West Side Stories, a celebration of the iconic musical ahead of its 60th anniversary. The Queen’s Christmas Message will as ever be a highlight of Christmas Day. And this year Christmas worship on BBC One will broadcast live from two magnificent settings: Midnight Mass on Christmas Eve from St Chad’s Roman Catholic Cathedral in Birmingham and Christmas Day Service from historic Bristol Cathedral. BBC Two celebrates the festive season with the return of much-loved Christmas Eve tradition, Carols From King’s. Filmed within the candlelit splendour of the Chapel at King's College, Cambridge, Carol’s From Kings brings viewers a feast of music and spoken word. Throughout the Advent season, much-loved programmes are also returning to BBC screens. On BBC One, Fern Britton speaks with well-known public figures about their faith, in a brand new series of Fern Britton Meets; Songs Of Praise gathers together inspiring stories exemplifying the true meaning of Christmas, culminating in The Christmas Big Sing - a symphony of 5,000 joyous voices at the Royal Albert Hall. In natural history programming, Gordon Buchanan travels to Kenya to get closer than ever before to the most majestic of animals, the African elephant, in Elephant Family And Me. And in a more seasonal offering Gordon will be meeting animals who make their homes in the snow, from polar bears, to penguins and owls and even festive favourites reindeers and the robin redbreast, with Life In The Snow. Wild Tales From The Village, a charming film narrated by Tcheky Karyo (The Missing), reveals the parallel world of incredible tiny creatures who live side by side with unsuspecting humans. The Victorian Bakers tackle historical festive feasts, and Gregg Wallace goes Inside The Factory as he and Cherry Healey watch the making of millions of mince pies - while Nigella Lawson returns to BBC Two with a biopic on pioneering Italian chef Anna del Conte. Marigold Hotel On Tour heads to Florida and Tokyo; the Royal Institute Lectures on BBC Four tackle 'fuelling the future' with Saiful Islam, Professor of Materials Chemistry at the University of Bath; and James May returns for Reassembler. Viewers can also experience life manning the engine of the most famous steam train in slow TV special, Flying Scotsman: From The Footplate. The arts are celebrated this festive season, with Darcey Bussell looking for Margot Fonteyn; the Royal Ballet production of The Nutcracker, with a tribute to choreographer and director Sir Peter Wright to coincide with his 90th birthday; revered author Alan Bennett opening up his diaries, and Glyndebourne Festival 2016 featuring on BBC Four alongside the New Year’s Day concert from Vienna. BBC Three will make you think and laugh this Christmas with box sets of some of BBC Three’s best shows, including Phoebe Waller-Bridge’s Fleabag, Tom Davis’ Murder In Successville, hit dramas Thirteen and Barracuda, documentaries including Drugs Map Of Britain and American High School. And, as an extra bonus, box sets of some BBC Three classics including Being Human and Bad Education. Merry Christmas from the BBC.